Bloomberg said that with or without Obama's Clean Power Plan, also half the coal plants in the United States have said they "will close or switch to cleaner fuels." 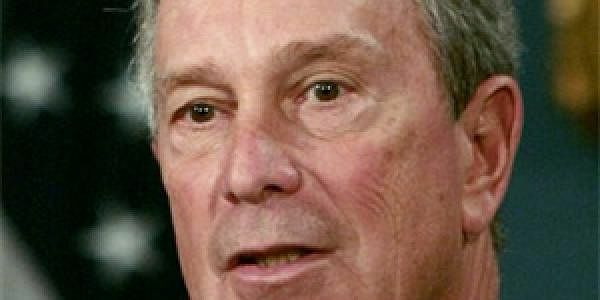 NEW YORK: The former mayor of New York, Michael Bloomberg, said Friday the United States will keep its commitment to reduce greenhouse gases despite US President Donald Trump's skeptical outlook on climate change. "No matter what roadblocks the White House and Congress throw up, the United States can -— and I'm confident, will —- meet the commitment it made in Paris in 2015 to reduce greenhouse gas emissions that are warming the planet," Bloomberg wrote in the New York Times. "Those who believe that the Trump administration will end American leadership on climate change are making the same mistake as those who believe that it will put coal miners back to work." Bloomberg said that mistake is "overestimating Washington's ability to influence energy markets, and underestimating the role that cities, states, businesses and consumers are playing in driving down emissions on their own." Bloomberg, a noted environmentalist, said that with or without Obama's Clean Power Plan, which Trump has promised to re-examine and roll back, also half the coal plants in the United States have said they "will close or switch to cleaner fuels." Consumers prefer cleaner energy that pollutes less, he argued. And the price of renewables like wind and solar is dropping. "In fact, even if the Clean Power Plan disappears entirely, we would still be in a position to meet our Paris commitment, which is to reduce greenhouse gas emissions 26 percent below 2005 levels by 2025," Bloomberg wrote. Certain federal policies cannot be changed, such as vehicle fuel efficiency standards that have been set through model year 2021. And big cities, which represents two-thirds of US emissions, along with countless private industries are committed to improving energy efficiency without any encouragement from Washington. "Claims that the United States will no longer be able to meet its Paris obligations give other countries an excuse to walk away from theirs," he added. "How terrible it would be if a misunderstanding of American climate leadership -— which is not based in Washington and never has been -— led to an unraveling of the Paris agreement." Trump has not yet said whether or not he plans to stay in the landmark Paris Agreement, a 196-nation treaty that vows to cap global warming as "well below" two degrees Celsius (3.6 degrees Fahrenheit) compared to late 19th-century levels.